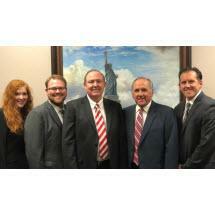 Since 1976, E. Neal Daley and Paul R. Dixon have represented injury victims throughout Southern California. They founded the law firm of Dixon & Daley, LLP and take pride in having helped thousands of clients recover fair and just compensation needed to move forward with their lives. Dixon & Daley, LLP is a family owned law firm whose lawyers and staff understand the financial and emotional stress an accident often causes on the entire family of the injured victim. We offer aggressive representation, and respect and value each client as an individual, not just as a case or a file number. The majority of our cases are referred by existing or former clients. As a client of Dixon & Daley, LLP you will have direct access to the lawyer handling your case, who will take and return your calls and provide answers to your questions. The lawyers at Dixon & Daley, LLP have a long history of devotion to personal injury and workers compensation cases. We get results for injury victims. You may review a sampling of our case results in the Case Highlights section of our website. Dixon & Daley, LLP offers complimentary initial consultations, and a personal, caring relationship with our clients. Let us help.